Children learn and develop best within a coordinated continuum of education and care in a smooth, uninterrupted flow from PreK through Third Grade. The goal of coordinating children’s PreK-3rd grade experiences is to recognize when the gulf between children’s experiences is too great for them to navigate successfully. Educators need to be responsive to the cultural discontinuity between the home lives of many African American, Latino and low-income children and the culture of schools. 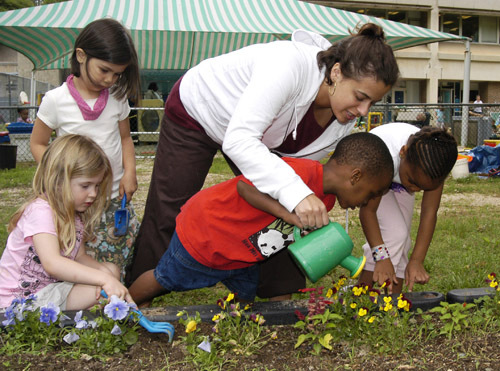 When physical environments, instructional approaches, expectations, and content change gradually and seamlessly, children can focus on attaining fundamental knowledge in language, literacy, math, science, social studies, and the arts; developing social competence; and developing the physical strength and coordination to engage in regular activity.